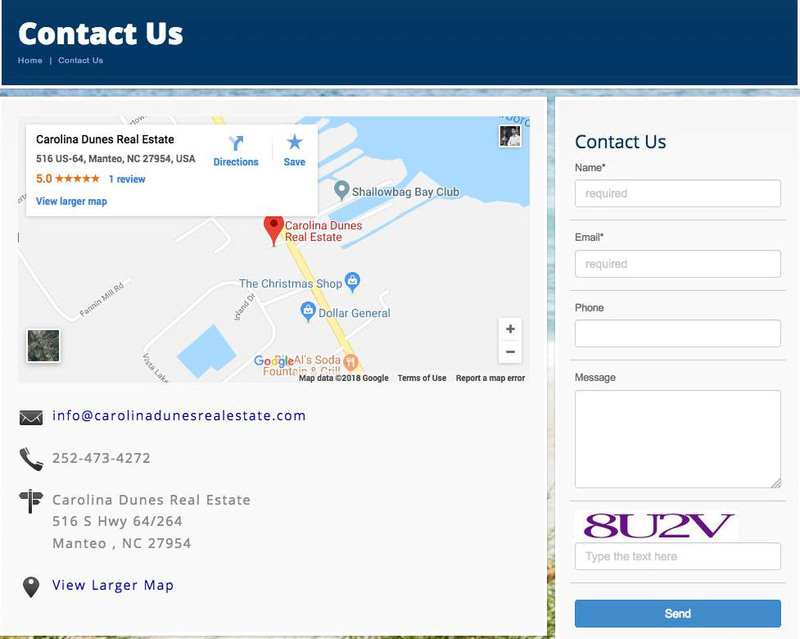 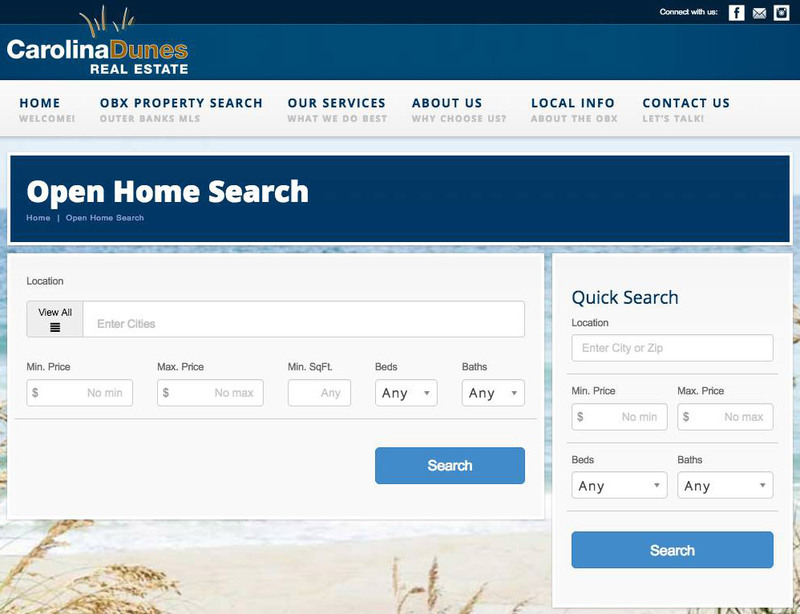 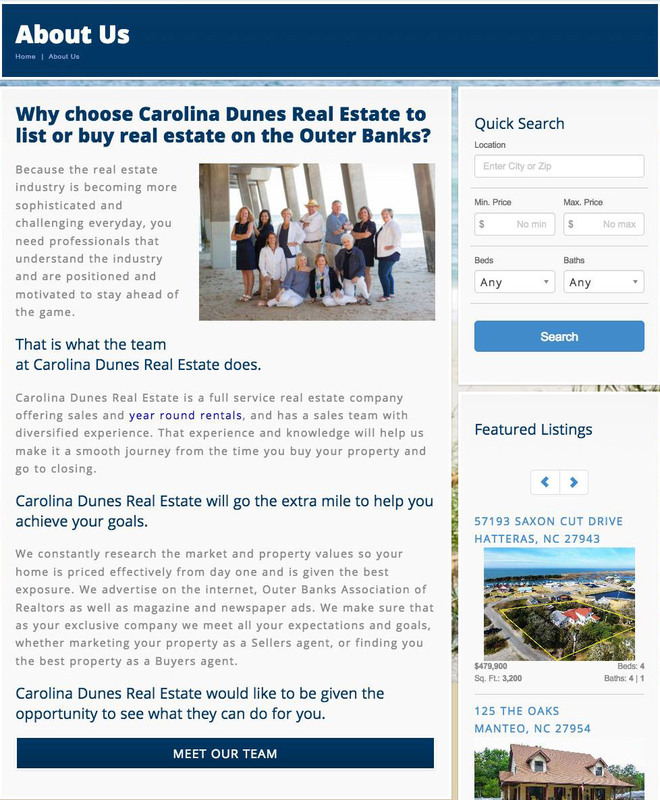 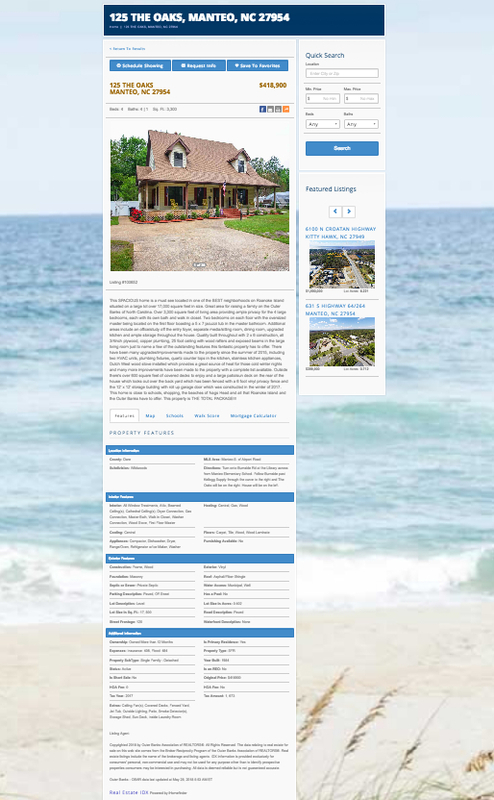 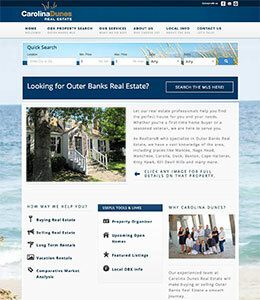 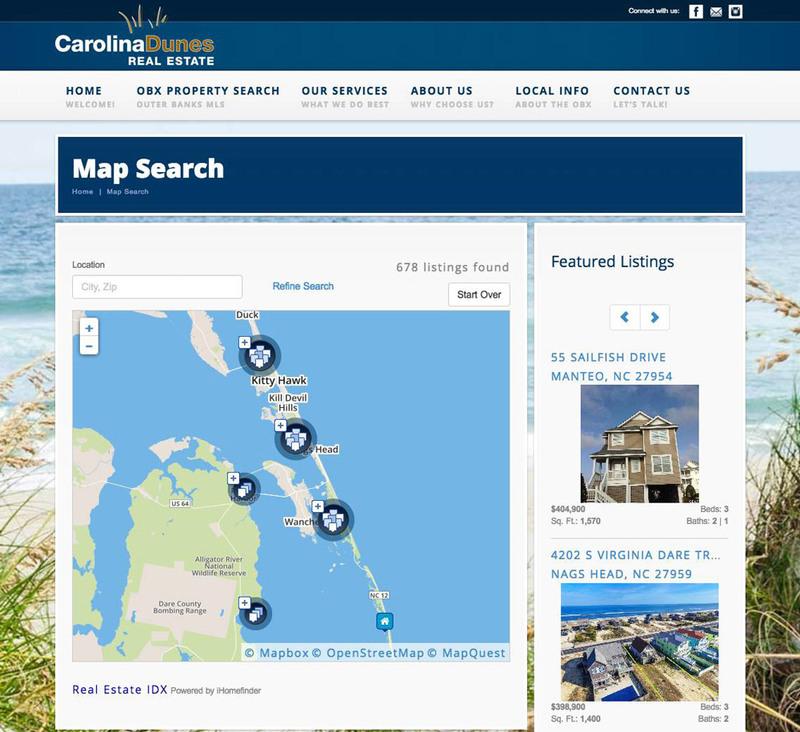 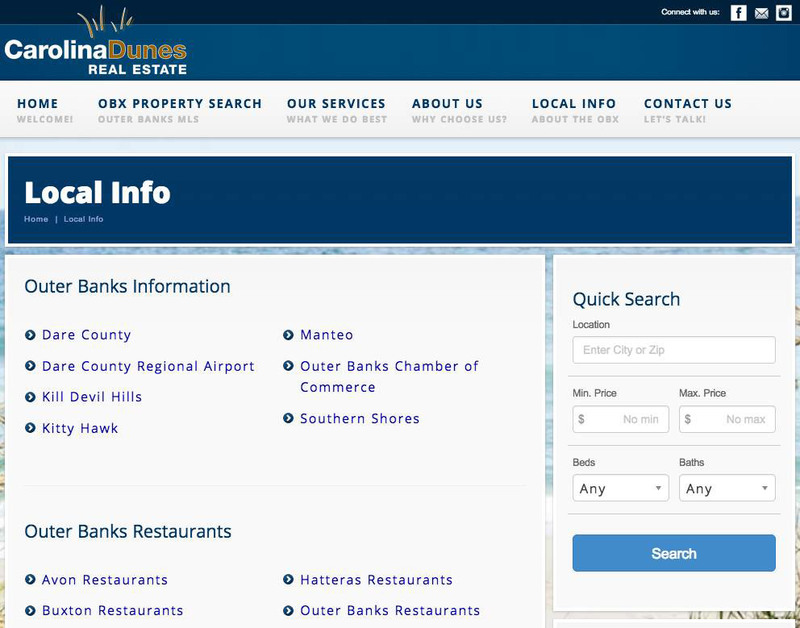 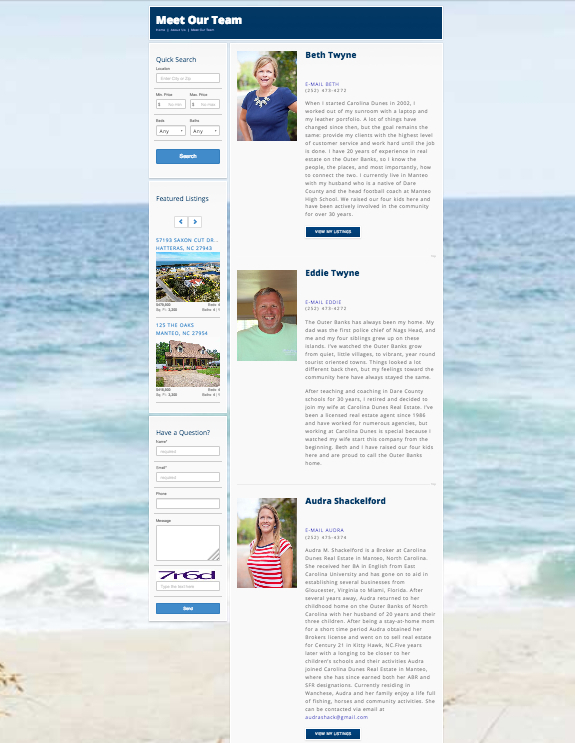 Carolina Dunes Real Estate, located in Manteo North Carolina serving the Outer Banks, needed to upgrade their website for their growing team of professional realtors. 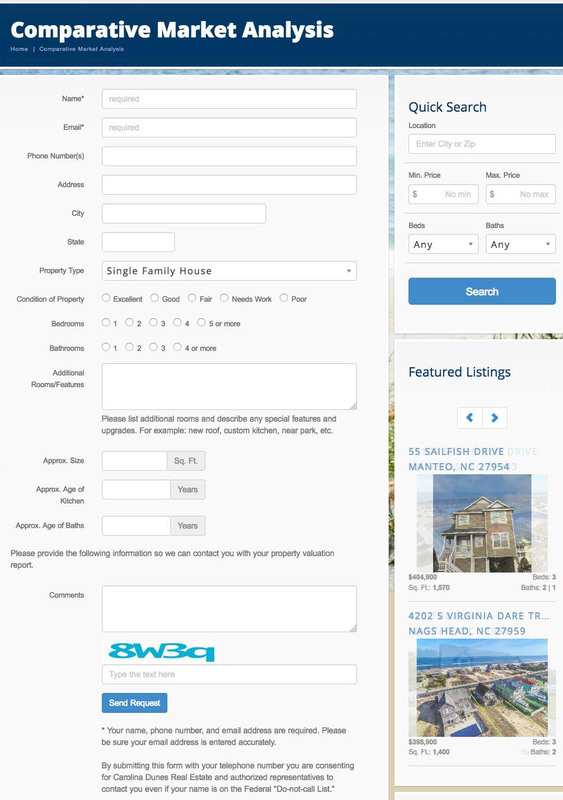 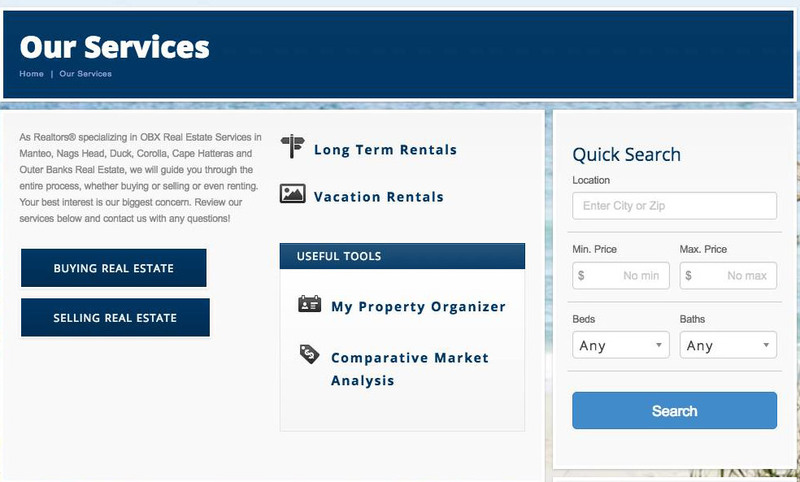 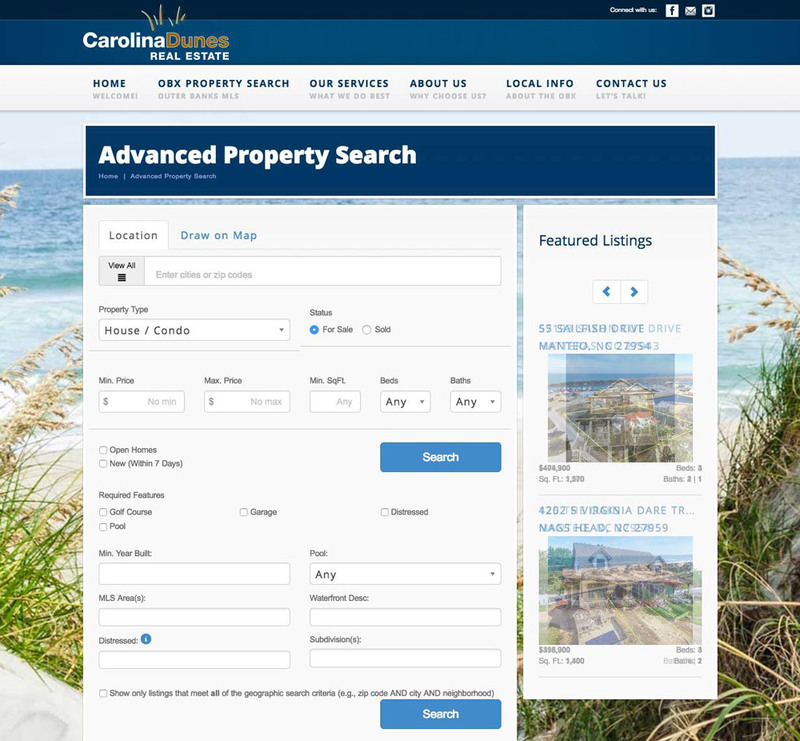 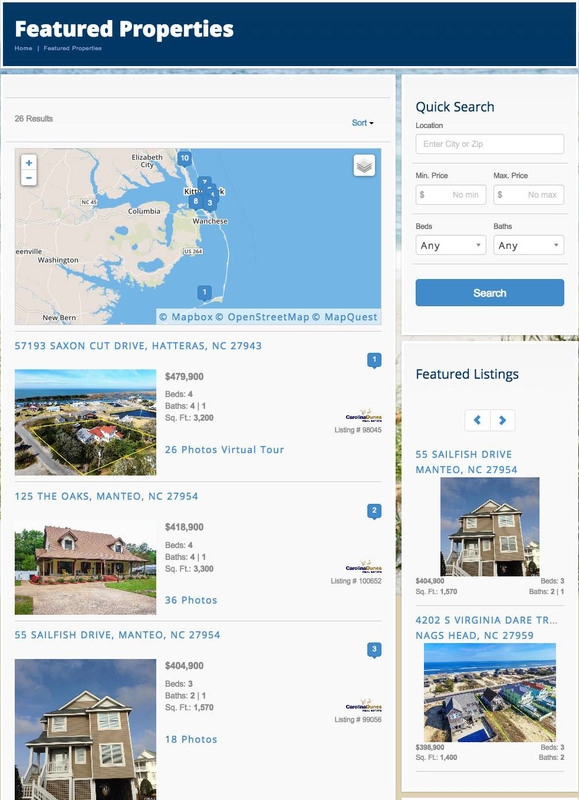 They need a more modern look that captures the feel of the Outer Banks, as well as the functionality to be able to search the MLS, capture leads, automatically email contacts and give this ability to all of the agents so that they can manage their own listings and leads. 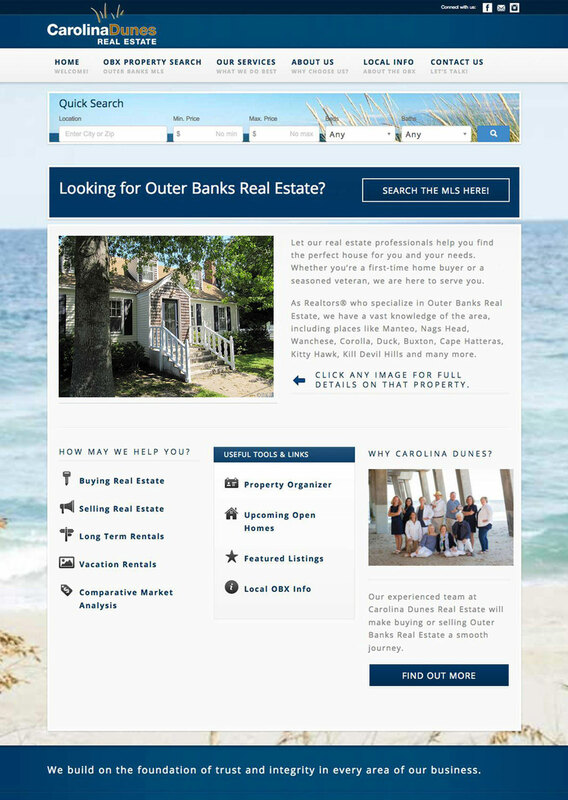 We created a modern, mobile friendly website with MLS/IDX integration. 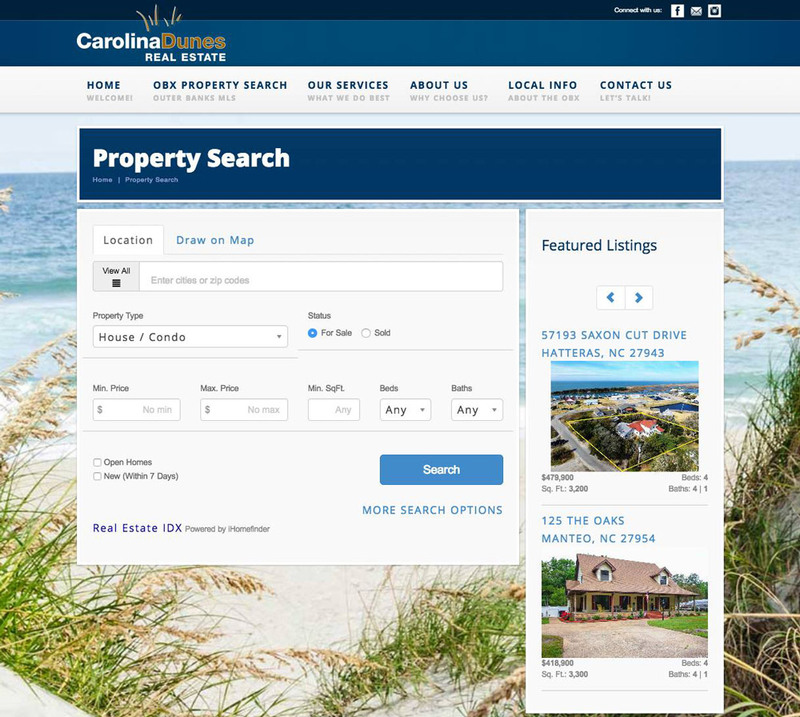 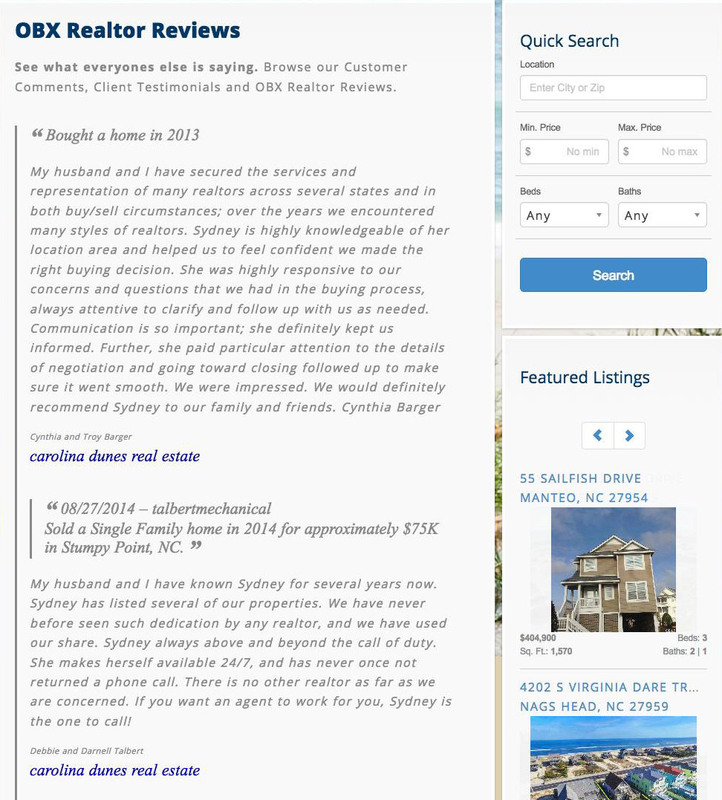 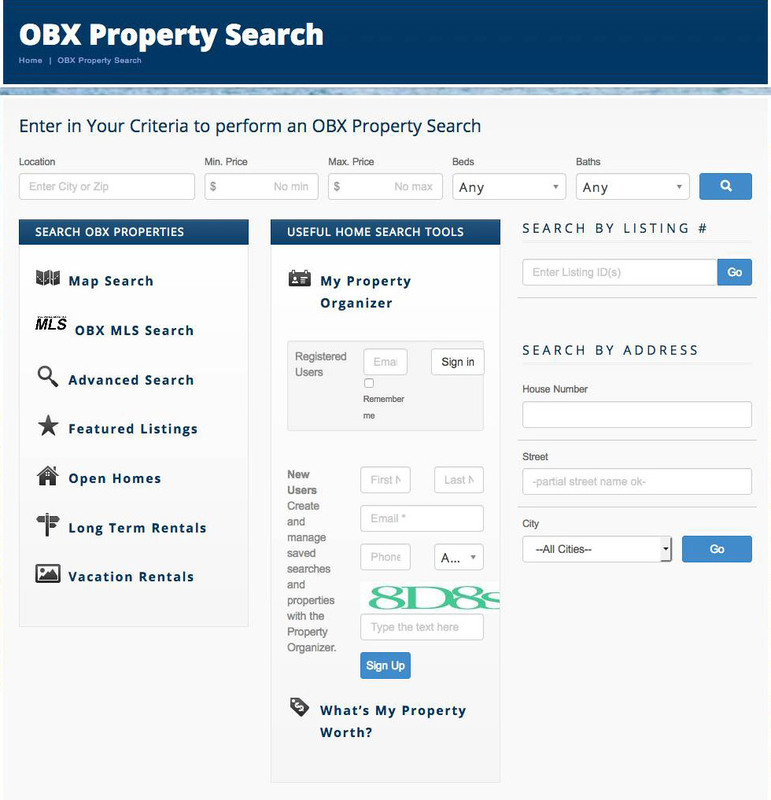 The site is easy to navigate and search for the properties you are looking for, and the admin panel is easy to use for all of their agents to be able to login, contact leads, see what kind of attention their listings are receiving on the site and sign people up to receive listing emails. 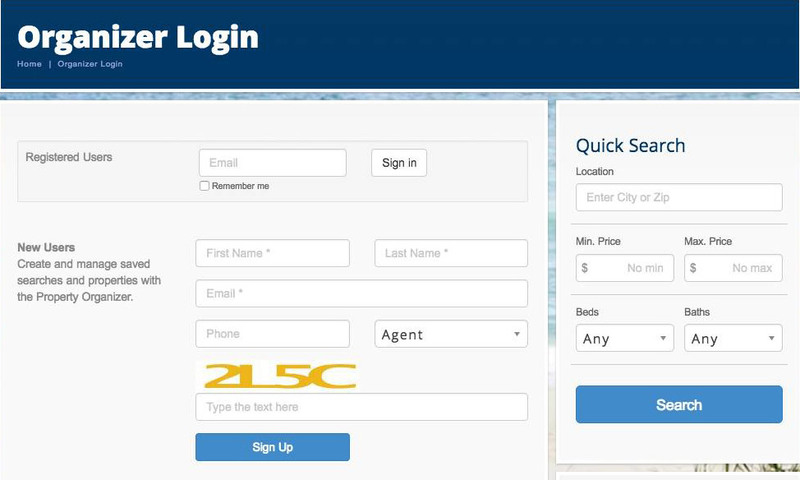 As their agents change it is super easy to login as admin and add/delete agents as needed.